A coin purse for this Christmas. A coin purse for a Christmas gift? Let's make the gift tags and this Christmas fun and cute together! In just a days time, the city transformed from rain soaked Autumn town with coffee sippers sitting in cafés and rain coat wearers trudging through ochiba filled streets to a city celebrating the Christmas season. Up to Thanksgiving, the air was filled with the gentle pitter-patter of rain hitting the pavement and leaves, all the while lulling the city to sleep. People moved about in slow motion and the city fell into a trance, hypnotized by the falling rain. This trance culminated on Thanksgiving morning with people emptying the streets for their homes where Thanksgiving meals lay scattered about kitchens waiting to be prepared. The early morning streets were empty, except for a few joggers making their way down the sidewalks and nature trails. Portland slumbered. Slowly the clouds broke and the sun shone through casting a golden hue on everything its beams touched. In the distance the first sign of the coming holiday season peaked through. The perfect white peak of Mount Hood glistened in the golden rays of the morning sun proclaiming the arrival of the holidays. Despite the grandeur of the proclamation, the city was slow to take notice as people busied themselves with preparations for the coming feast. By the time people took notice and headed out, the messenger fell back behind the dark clouds and gave way once more to the pitter-patter of rain falling on the streets. By evening the rain subsided and Portland opened up to troves of shoppers making their way to stores. The next morning the city was greeted with rays of sunshine, the pitter-patter of feet making their way from one shop to the next, and the clicking of bicycles rolling through the streets. The city had awoken from its Autumn slumber and given way to the festivities of the holiday season. People were out clearing leaves from their yards to make way for Christmas decorations. Shops and cafés opened their doors to fill the streets with a thousand different renditions of "Jingle Bell Rock". Christmas had all but arrived. The city and its neighborhoods bustled with the busyness of the first "shopping day of Christmas". As the evening drew near, people migrated from the neighborhood shops to Pioneer Square downtown where they sang Christmas carols in anticipation of the city's proclamation of the pending holiday, the lighting of the Christmas tree. The crowd grew larger and larger as the minutes ticked by. Anticipation mounted. After a guest appearance by Father Christmas the crowd counted down, "...three, two, one!" The tree sparkled and flashed while the choir broke out into song. The holidays had arrived. 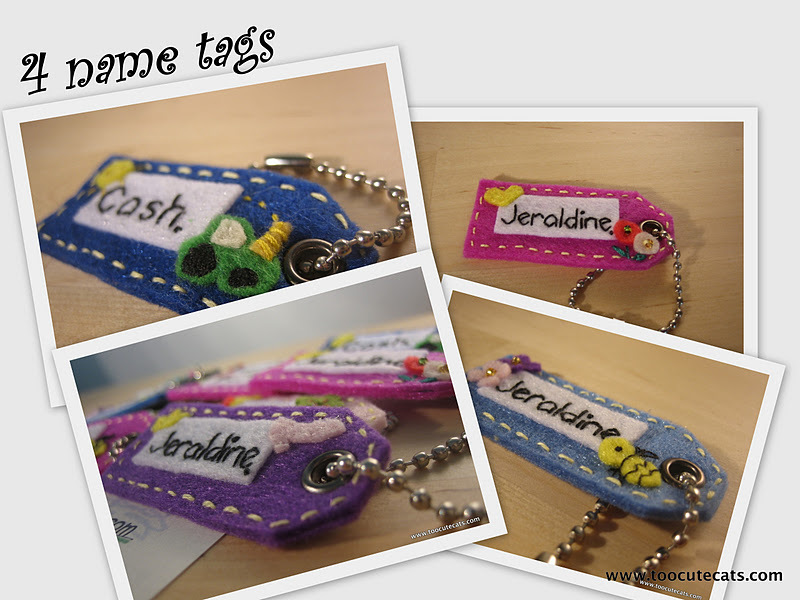 For this coming holiday season, we will make some new themes for our eco-friendly name tags.